Every year, BIGLITTLE Theatre School supports a local charity where we help a local cause by having retiring collections at our shows. This year, our chosen charity is the Bournemouth Hospital Charity. Bournemouth Hospital Charity exists to help enhance the care and treatment of patients at the Royal Bournemouth and Christchurch Hospitals. BIGLITTLE is very proud to be working with the charity and to help make a real difference for patients, families and hospital staff. Throughout 2019, we will be helping to raise funds for an interactive table projection for patients with dementia - the cost of which to buy is £6,580. 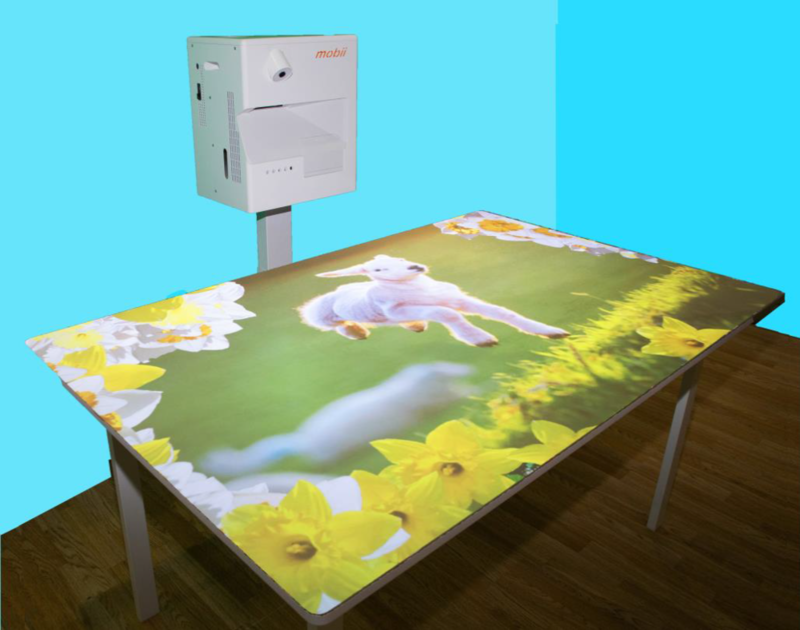 The Mobii magic table system is a revolutionary interactive surface that reacts to even the slightest movement making it fully accessible and highly intuitive in all adult care settings. It is the only truly mobile motion-activated table projection system designed for this purpose, providing meaningful life-enriching activities that specialises in Adult Care/Dementia Research have been asking for. The OM Interactive Mobii magic table is a highly versatile system and has so many different applications and is an engaging resource that enables relatives of all ages to join in shared activities with their loved ones, removing the pressure of difficult conversations and motivating everyone to enjoy memorable experiences and smiles, thereby creating precious new memories. During 2019, we will be supporting the charity to raise funds and have set up a Just Giving page that will keep track of our fundraising. If you would like to make a donation to this amazing cause, then please also feel free to donate directly to the charity via our Just Giving page.